Early learners need lots of explore to numbers for them to start to recognize when two numbers are the same. 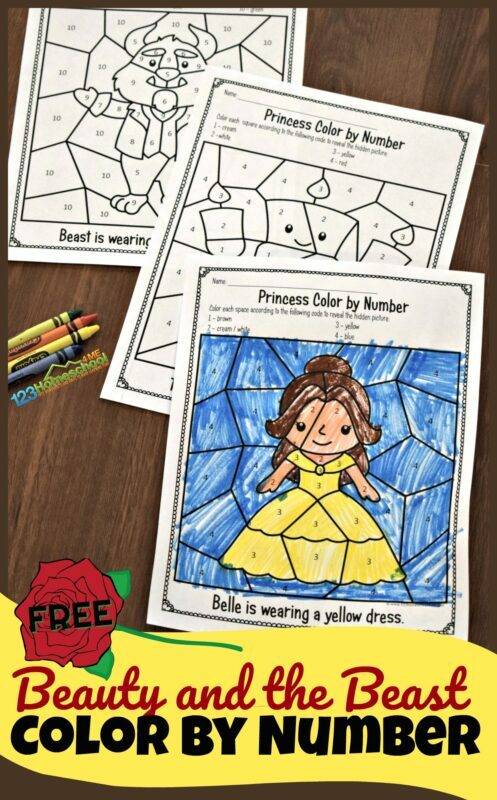 These belle color by number worksheets work on number recognition PLUS they help kids strengthen their fine motor skills so they will be ready to start writing letters in the future. So take a peak, download these free printable worksheets and start having fun coloring! 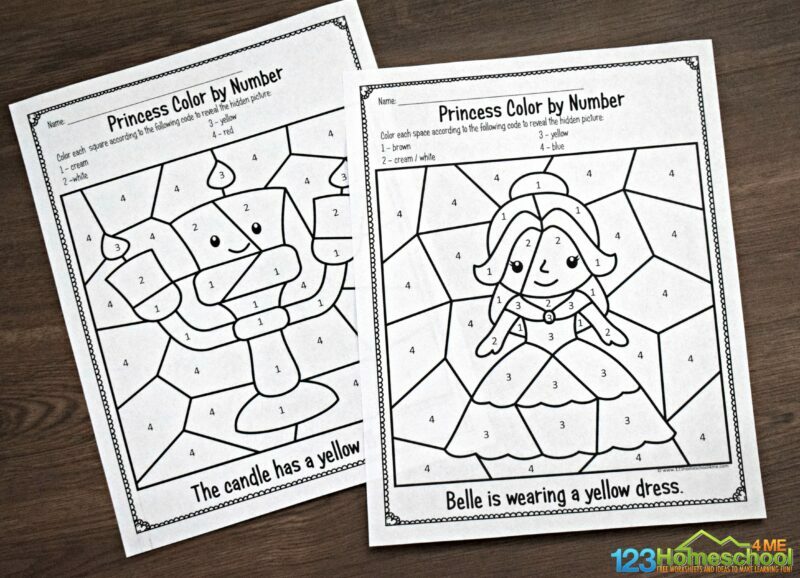 In this pack of NO PREP, black and white Princess Belle Color by Number Worksheets there are five different worksheets to color. These are such a fun kids activity for toddler, preschool, kindergarten, and even first grade kids. Kids can use crayons, markers, colored pencils, or other writing utensil to complete their color by number printable. 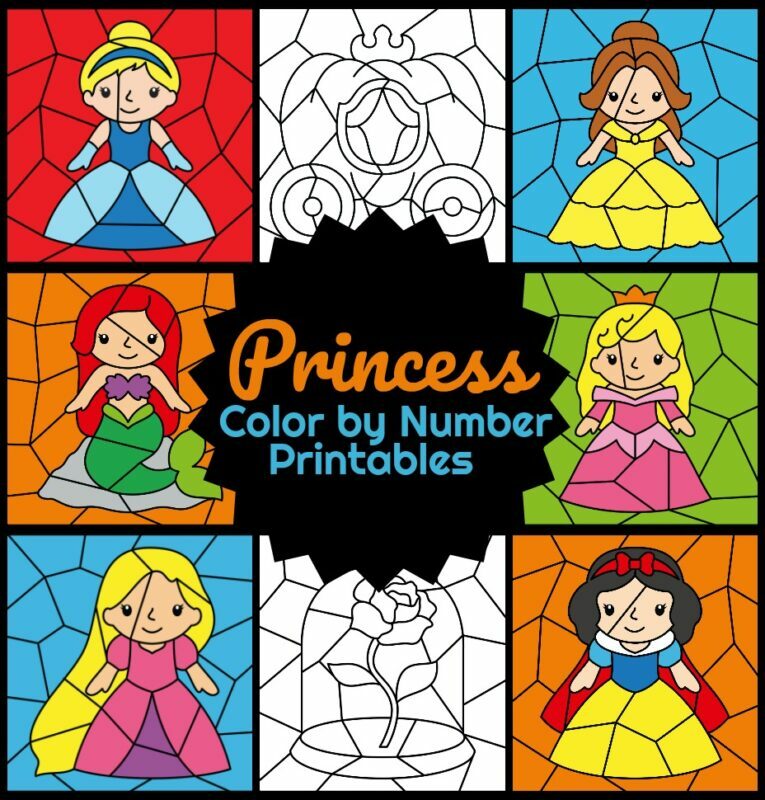 Looking for more fun Princess Color by Number Printables? Check out our entire collection of 6 princesses with their symbols and friends. 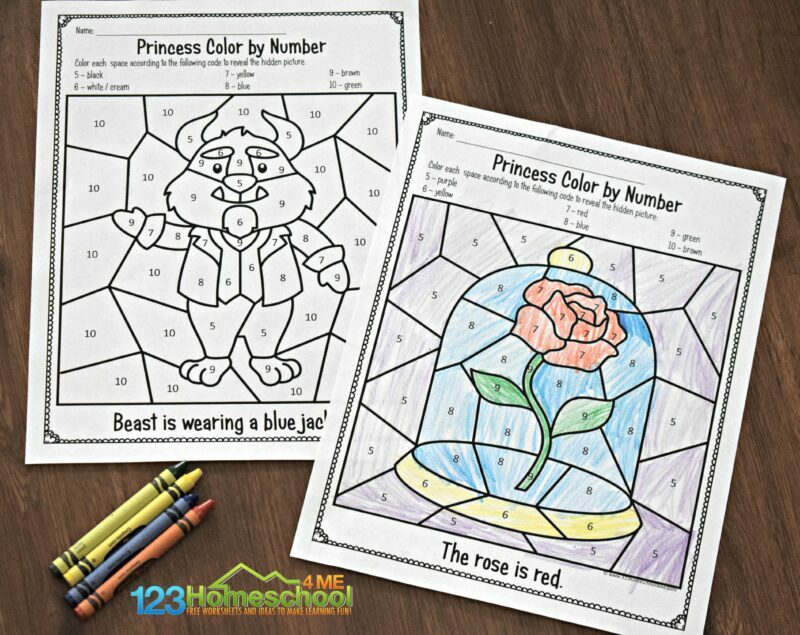 There are over 30 super cute color by number worksheets!